Use this case to enclose and protect your melabs U2 Programmer. Installation is simple. The U2 board drops into the bottom half of the case, the top covers it, and it all holds together with one Phillips head screw. This case only fits the U2 Programmer. 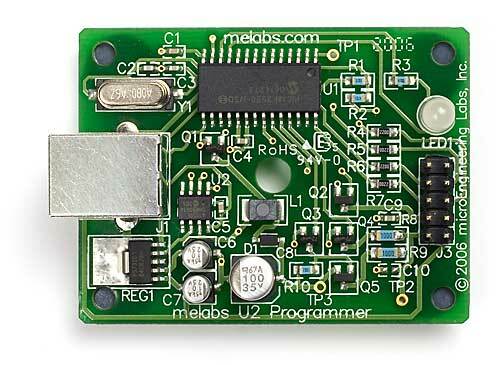 It will not work for the EPIC Programmer, melabs Serial Programmer, or melabs USB Programmer (U1). If you're unsure whether you have the U2, click here to see a photo of it.